Put your logo on our wide selection of Golf Can Coolers for your next golf tournament, event, outing or promotion. 4. Your Golf Can Coolers will be produced and shipped followed by a tracking number sent by email. Foam can insulator with a classic can hugger design with your logo perfect for your golf tournaments..
Full Color Collapsible Foam Golf Ball Coolie with your Logo. This product is great for promoting your business or used for a corporate give away. You can also use them for weddings, birthdays, picnics, family reunions, parties, grand openings, class .. 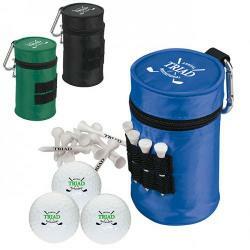 This product is great for promoting your business or used for a corporate give away. You can also use them for weddings, birthdays, picnics, family reunions, parties, grand openings, class reunions, cook outs, sporting events, etc. 1/8" Thick..
Budget Fabric Golf Collapsible Koozies. Flat 3 7/8 in.W x 5 1/4 in. H.. Customized beverage insulator maintains a beverage can temperature of 40 degrees or below for 35 minutes. ..
Heathered Jersey Knit/High-Quality Neoprene ( Wetsuit Material ), collapsible insulator with sewn-in bottom and customizable colored stitching and bias trim at top. 4.25" H x 3" Diameter.. High-Quality Neoprene (Wetsuit Material), collapsible insulator with sewn-in bottom and customizable colored stitching and bias trim at top. 4.25" H x 3" Diameter..
High quality neoprene (wetsuit rubber material), can insulator. With magnets sewn on one side. Choose from 38 colors of material. Fits most cans or bottles. One side imprint, only. 3.75" W x 5.125" H..
Neoprene Bottle Koozie - Golf Tournament Gifts..